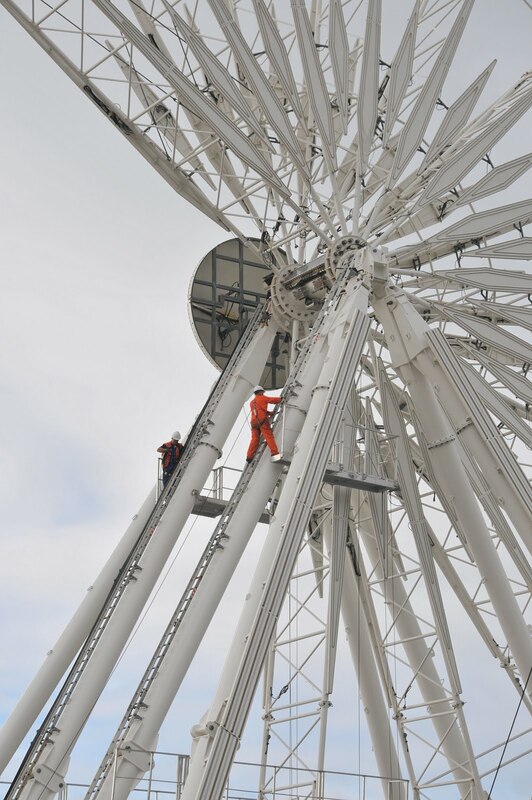 After many months of work The Brighton Wheel is is up and running; it is now part of the city’s seafront environment and will continue to be for the next five years. So we asked our Chief Photographer Tony Mould, to provide a snapshot view of its construction from start to finish. We are aware that sometimes local feelings run pretty high on the question of The Wheel, in relation to whether or not it should have come to the city. Showing this gallery of photographs does not indicate our position regarding that debate. We merely wish to carry on our work of chronicling the life and times of this dynamic city. When in the photo gallery, if you click on each image it will open a large version in a new window. I haven’t been ‘home’ for nearly three years (born and bred in Brighton, but now living in Wales). 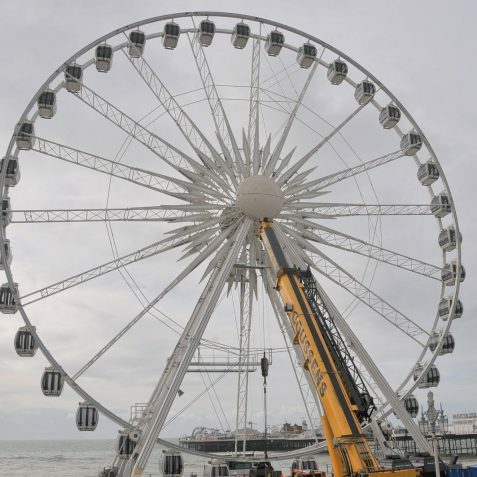 I’m coming back to Brighton in January and won’t make a definitive judgement until I see this thing with my own eyes, but my first impressions are that I am not too keen on it! 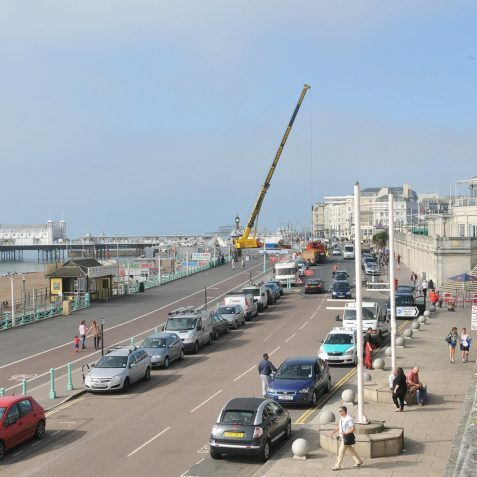 It just looks so out of place on the seafront that I know and love, but having said that I’ll let you know my final verdict when I come home in January! Regards, Andy. 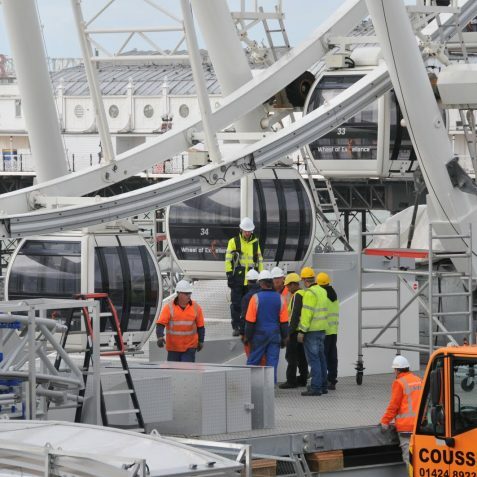 My opinion is that the wheel will be a great success and will be an iconic figure for years to come. 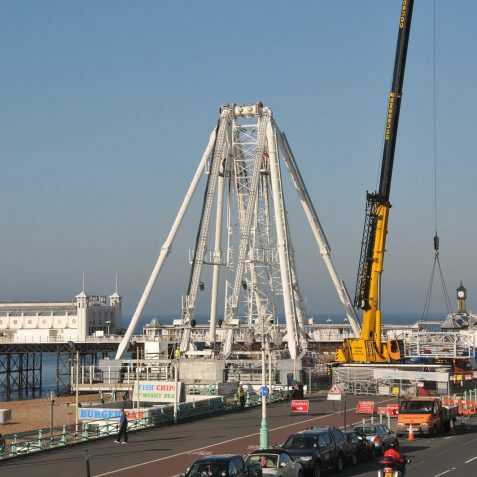 I applaud Brighton and Hove Council for allowing it to be built despite the objections of the people living nearby. Cycling underneath this morning, I was impressed by its aesthetic beauty and sheer size. I saw the wheel for the first time two weeks ago, and took an equally good photo of it at a different angle than those shown. It wasn’t working when I saw it, but I cannot wait until I ‘have a go’. We had a wheel here in Melbourne Oz. Built about three years ago. One very hot day 40+ and the structure buckled. Only just re-building now. Hate to think what the tear down and re-build cost the Japanese company. Can only hope they had good liability insurance! Although I am not a local, this object is a monstrosity, as far as I am concerned. 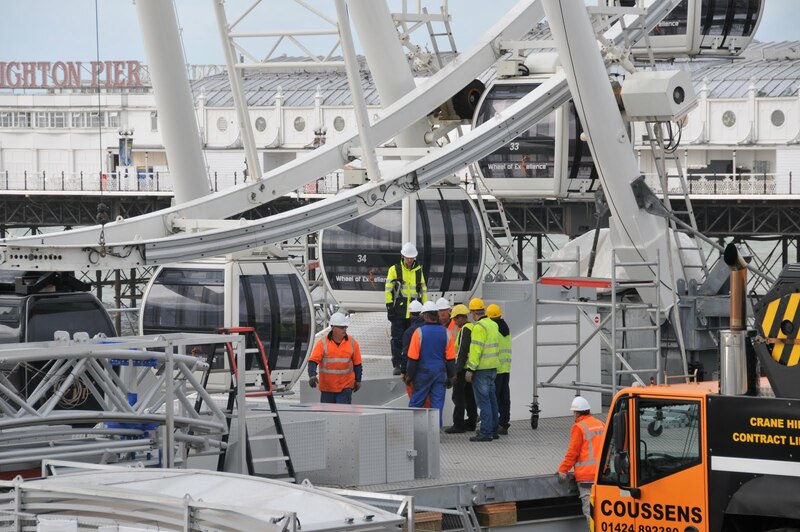 It resembles the Wheel on the Embankment in London, which is equally hideous, and similarly ruins the skyline. Inevitably, it will be a huge success with visiting Chavs, which shows that crass commercialism usually wins through against common sense and good taste, these days! 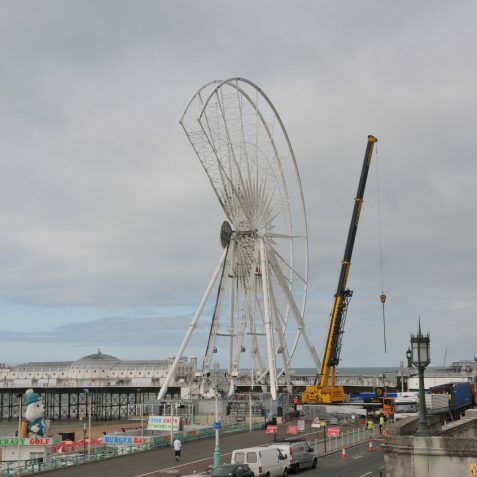 One hopes for a sudden hurricane wind (provided of course that the wheel is empty), in order to rid the City of this latest architectural carbuncle! Hey, it ain’t that bad! If it comes to taste, it complements the Palace Pier perfectly, crass commercialism or whatever. And it is on the “common” side of the pier, if you’ll excuse my sounding snobby (couldn’t have sprouted on Kingsway, of course. No substitute for the old West Pier, though – nothing could be. 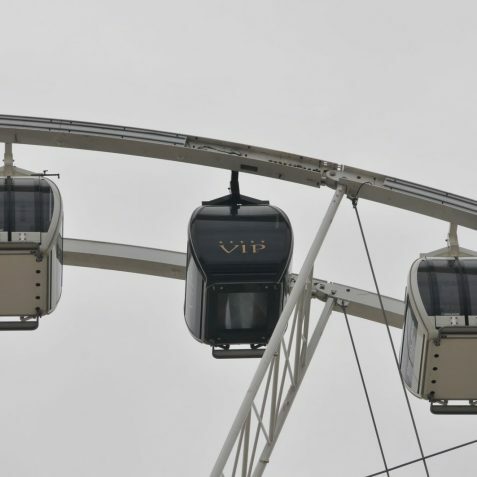 I actually think the London Eye is a fine icon for the capital, no more an eyesore than the Eiffel Tower is to Paris, and its clientele can hardly be accused of being “chavvy” given the nature of the ride and its price and the fact that most of its riders are tourists. 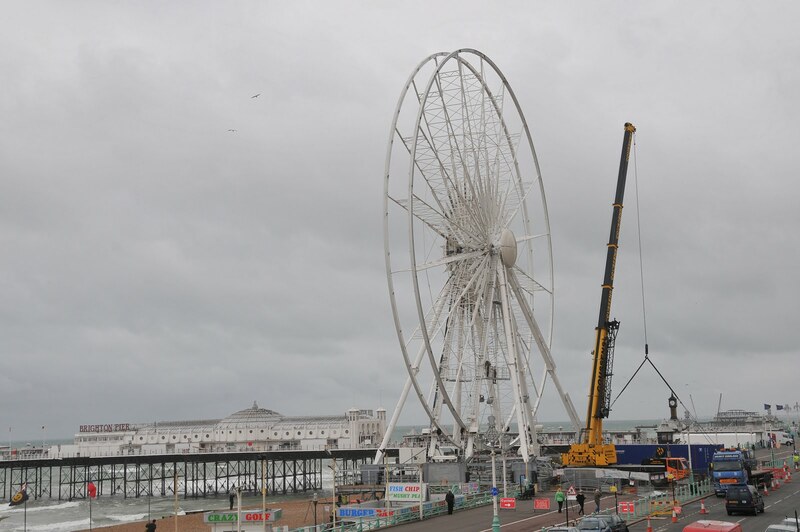 Best of luck to the Brighton Wheel, likewise. Come on Stefan! 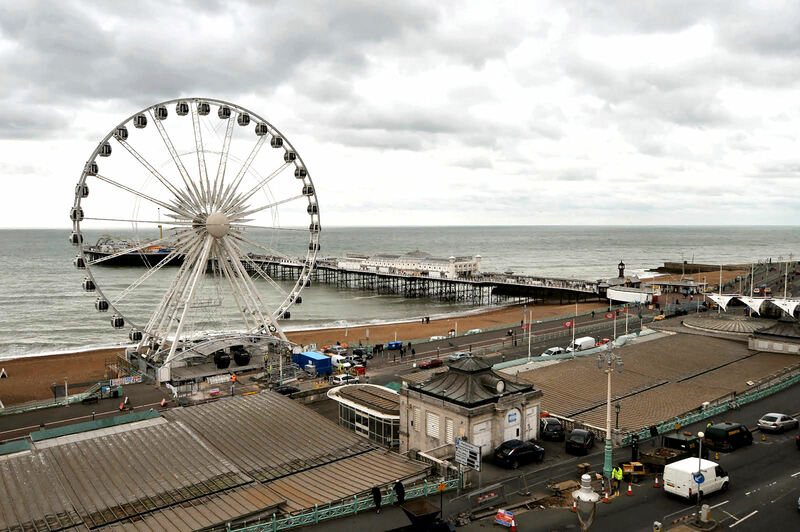 The Brighton wheel is not that much of a monstrosity, its certainly not hideous. I`m not sure that “crass” is the correct discription either? 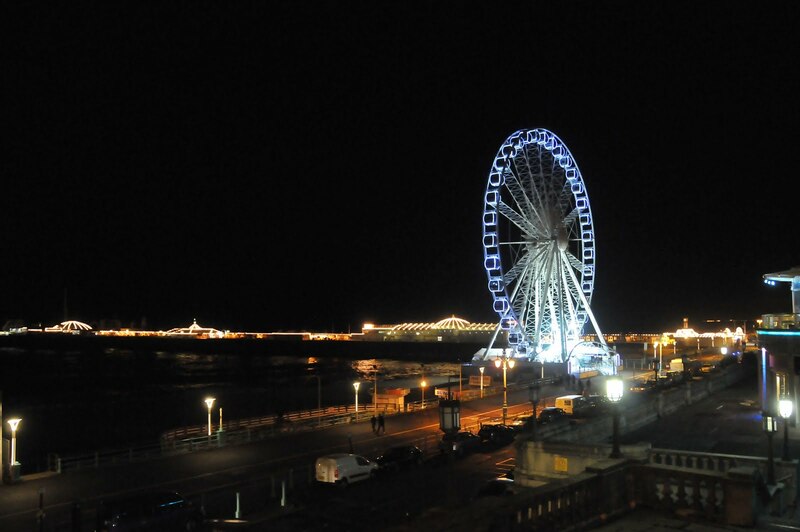 Like it or not what you see is very much what you get with modern day Brighton with no pretence. Mr Brember-Morris; you sound as if your luxury apartment is overlooking or being overlooked by the said carbuncle and you have an axe to grind. 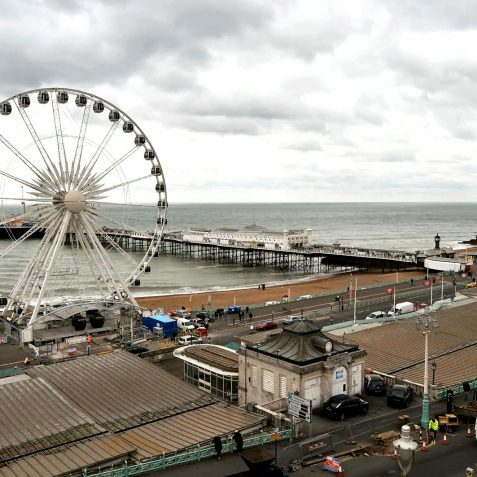 Surely you can see as a seaside city, Brighton is a just the place for a Ferris wheel to attract tourists of all classes. In these challenging times Brighton has to up its marketing strategy to encourage visitors to come and spend money in local businesses. 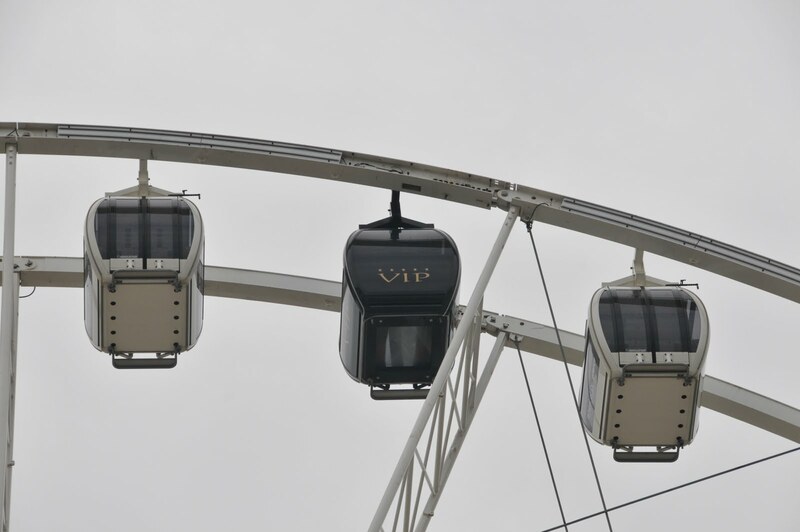 I believe the London Eye had been given a short lease on its position on the south bank, it has proved so popular that the lease was extended. I am sure if your carbuncle fails to attract enough passengers to make it viable, it will be removed before the lease is up. 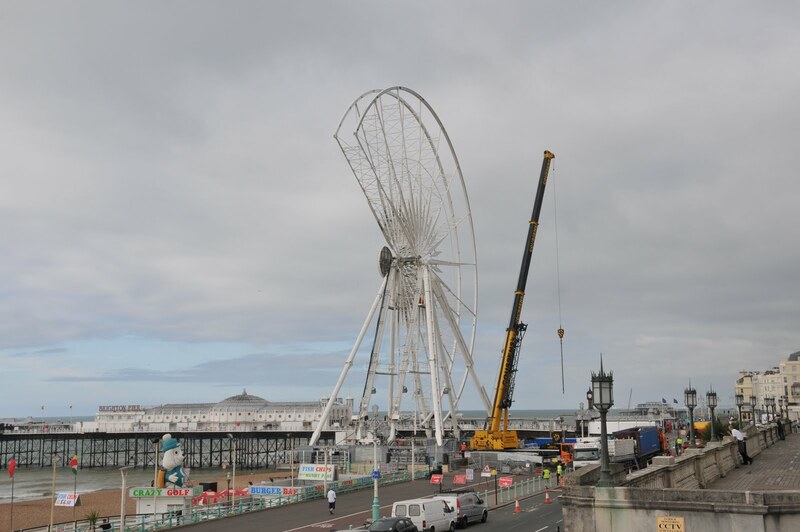 I saw the wheel last weekend on a return visit to Brighton (I’ve lived in Devon for the last 22 years) and I can’t see what all the fuss is about. 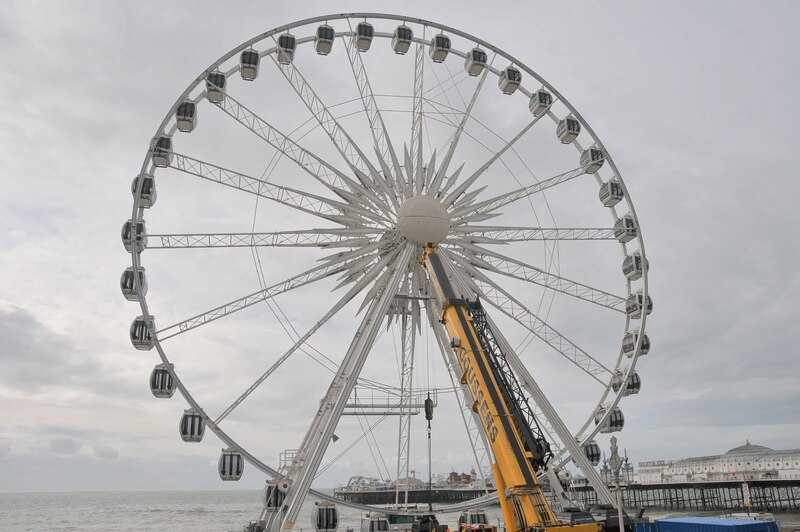 I think the wheel is perfectly in keeping with its surroundings – after all, this is Brighton, not Eastbourne or Worthing! Let’s face it, if the town had never allowed something a bit different, there would have been no Piers and no Pavilion. No gentlemen–I have no luxury apartment in Brighton, or anywhere else, I live in a house near Canary Wharf, East London! I have no objection to a ferris-wheel as such, but the design should be fitting for the surrounding architecture and environment. This is not the case for the London Eye or the Brightonian miss-fit. Can you imagine ‘Pinkie’ clambouring onto such a ghastly protuberence? The piers are elegant–even the one falling into the sea had a certain magic about it in its death-throws. These new excrescences have nothing to justify their presence, except money. You have made my case! 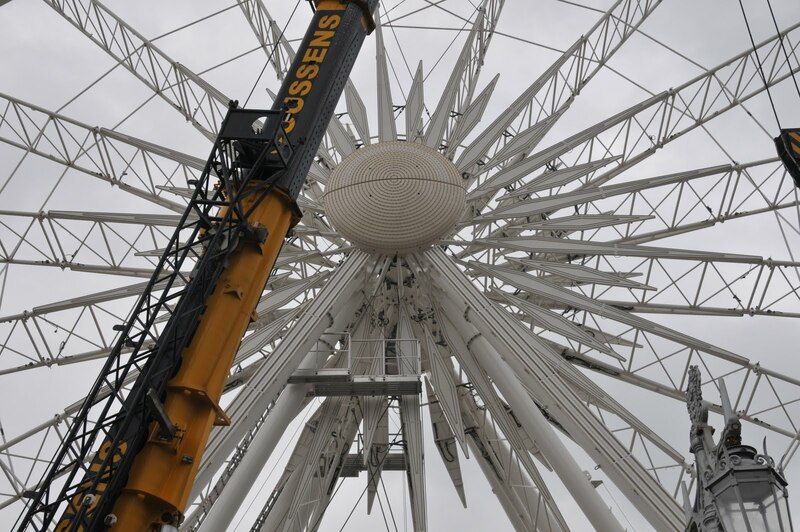 Now, if there was a replica of the Viennese ferris-wheel, as seen in the Third Man, I might be with you all! Anybody seen Harry, lately? 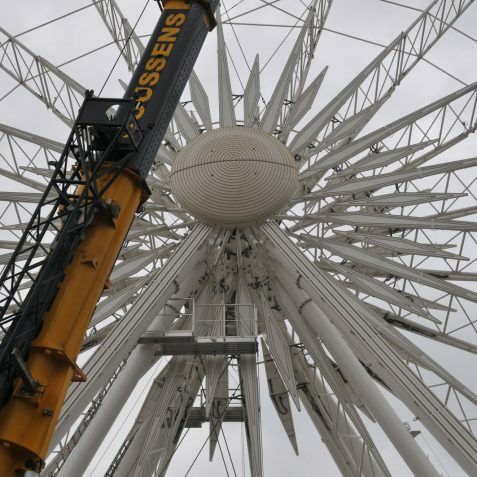 Mr Bremner-Morris may have a point about the design, but there is no way it would get permission to operate, as the Wiener Riesenrad as it is over 64 metres tall. 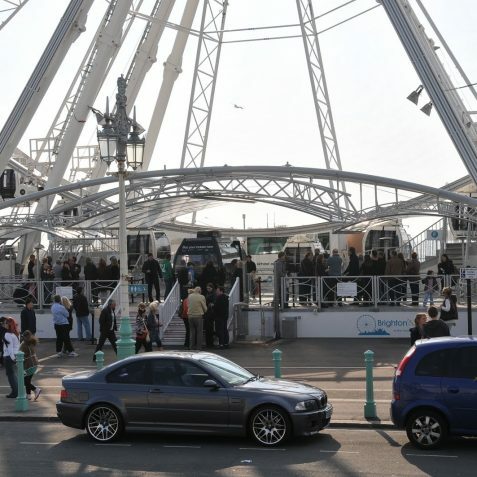 The Brighton wheel is standard Ferris wheel of the type seen around many cities of the world. 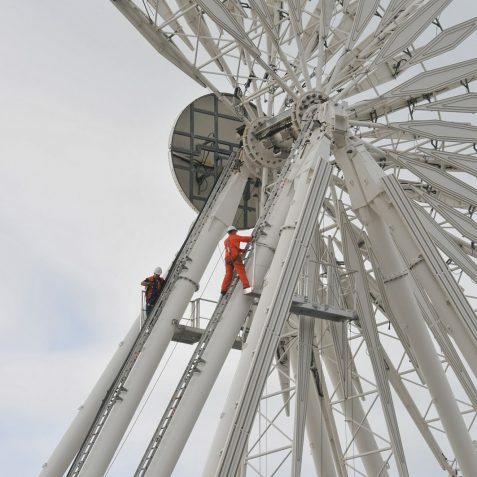 To make a replica of the Wiener Riesenrad at even 2/3 the size would cost several times as much as a standard Ferris wheel and therefore be commercially unviable for only a 5 year lease. 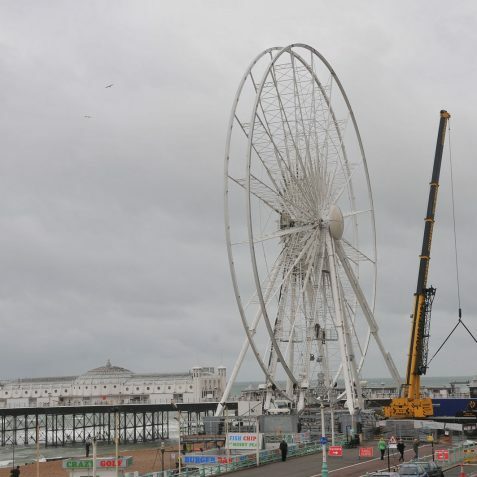 I am sure in Graham Greene’s novel or the Boulting brother’s film, if there was a giant Ferris wheel by the pier it could well have been used by Pinkie Brown to secretly talk to Rose about his alibi. Us “older ones” have just got to accept change. I used to go and stay with my grandmother in Waldergrave Road late 1950s when I was about four or five, She lived with two old aunts. When I think back now, they must have been around in Brighton at the time of the Chain Pier, and what did they think when the new Palace Pier was being built in the late 1890s? The Palace Pier was actually always more commercial than the West Pier, and youngsters, who like me only ever got to go on the West Pier, hankered for the Palace Pier. 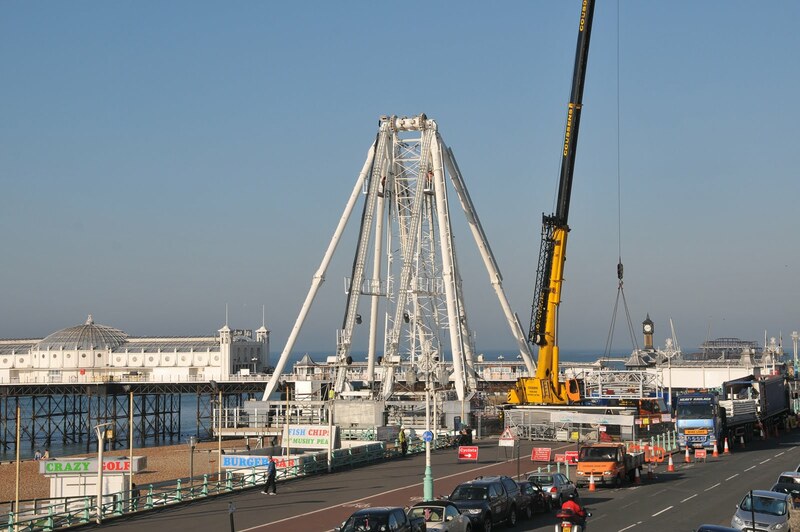 The scene of Pinkie clambering on the Pier, could easily have been the Wheel, if it does become a Brighton icon. It certainly looks like one, as I drive home in the evening, all lit up! 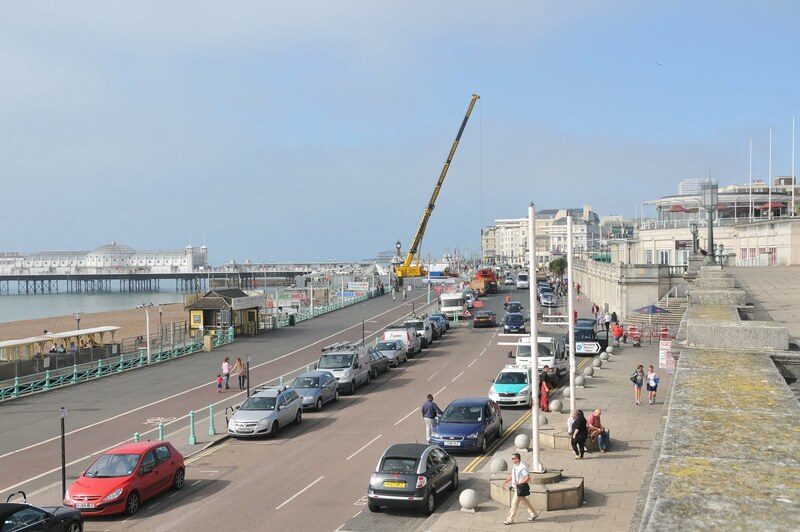 But will Harry escape from the chase in the new sewer pipe under Brighton sea front, before he is gunned down? I don’t think that the concrete pipe, and particularly the domed opening on the road above the Marina, has the same ambiance as those used in “The Third Man” but that’s progress! 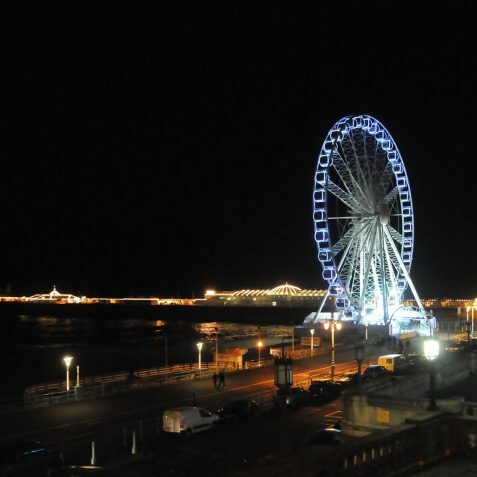 Hi all, I am a born and bred Hove man and worked in Brighton many years ago and worked for Brighton & Hove City Council for 29 years, I now live in north Nottinghamshire and visit Derby often they have a simular wheel and Nottingham had one not long ago I think they are great objects and bring much enjoyment to a lot of people, good luck to Brighton I think the wheel looks great in that location and brings interest to the seafront, KWB. 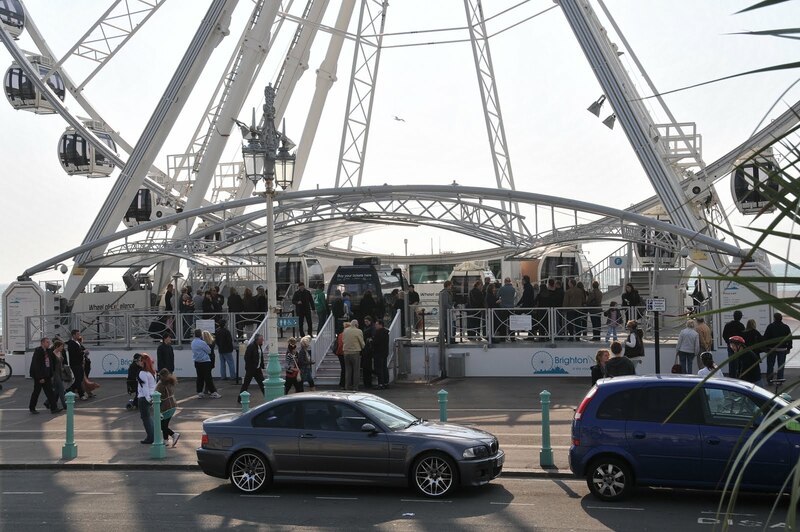 I shall try and get down to Brighton in the summer, assuming travel is at all possible from East London during the Olympics, and give my ‘on the spot’ updated opinions (and possibly a picture), regarding the wheel, in situ!